Did you know, a century ago you might have risked being Shanghied right here in Astoria – kidnapped “for the crew of a ship by unscrupulous means, as by force or the use of liquor or drugs” (www.dictionary.com)? Luckily, today, you’re just invited to an evening of fun and laughter. 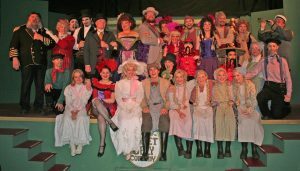 The Astor Street Opry Company transformed tales of the city’s sometimes infamous past into vaudeville, with the 33rd annual production of its original musical melodrama: Shanghaied in Astoria. Will Miss Virginia Sweet be rescued by her Norwegian hero? How will he outsmart her guardian? Get ready to cheer the heroes, and throw plenty of popcorn at the villains while you enjoy a less than historical, but rather hysterical, performance. The curtain is going up on this summer’s production, so don’t wait to reserve your weekend getaway at Clementine’s Bed & Breakfast. We promise a fun-filled evening, plus all the other entertainment the Astoria area offers, from fine dining and shopping to outdoor adventures. Box Office opens at 6:00 pm, doors open at 6:30 pm. Sundays Matinees: July 16, August 6, and September 3, 2017 at 2:00 pm. Tickets: Range from $13 to $21 and can be purchased online or by phone: 503-325-6104. Although tickets may be available at the door beginning one hour before each show, reservations are recommended. Need an antidote for any lingering winter blues? If you’ve laughed at being “Shanghaied in Astoria”, then the Astor Street Opry Company has just the cure for you! 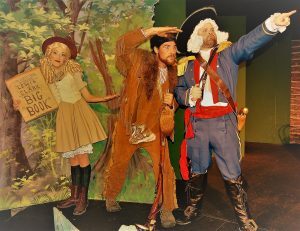 Make plans to travel farther back in time when they present their original production: “Lewis and Clark, or How the Finns Discovered Astoria.” Welcome spring with this vaudeville-style musical melodrama where you can cheer for the heroes as they struggle to make their way from Missouri to Oregon, and boo the evil villains they face at every turn. Will they be able to rescue the Corps of Discovery? Lose their most precious cargo? You’ll rejoice when our heroes finally arrive at the Pacific to found Astoria, and can celebrate with their supply of beer! The house opens 30 minutes before each performance. Tickets are $5.00 for Friday performances and $7.00 – $16.00 for Saturday and Sunday performances. Tickets may be purchased online or by phone: 503-325-6104. 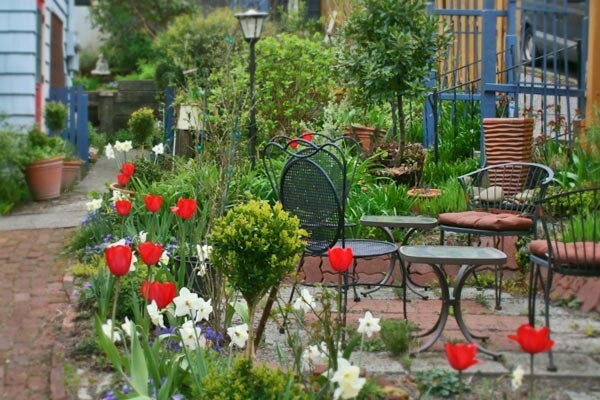 A stay at historic Clementine’s Bed & Breakfast will put you in the mood to visit the Opry Company’s Astoria of long ago, without sacrificing any of the comforts of today. Leave the lumpy beds and dried provisions to the Finns – you can look forward to luxurious bed linens, robes and spa-quality bath amenities, multi-course gourmet breakfasts, plus complimentary beverages and small bites each afternoon! 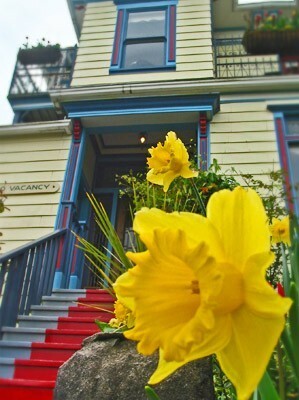 Celebrate spring’s arrival with a refreshing weekend getaway to Astoria – just give us a call or go online to book your stay.